Process reliability is one of the most important factors in achieving a profit for producers in the chemical process industries (CPI). However, maintenance departments in these facilities deal with many challenges, including disorganized data, limited budgets and loss of talent. 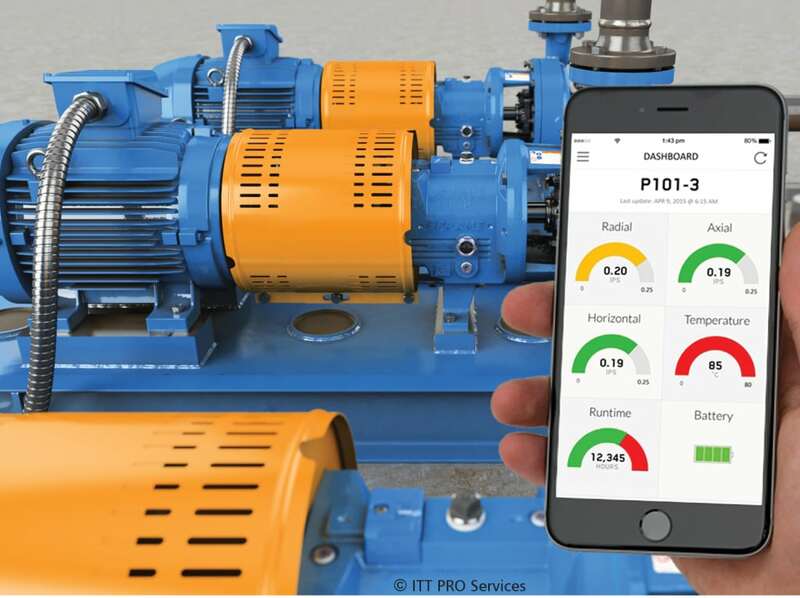 The good news is that software that promotes connected enterprises and intelligent instrumentation, combined with increased mobility via smartphones and tablets, is changing the way maintenance crews handle their tasks and helping to increase reliability. While there are many obstacles to overcome in order to keep a CPI facility running, one of the biggest maintenance woes is disorganized data. For this reason, data often need to be shared between multiple disciplines in the facility. “That’s the main function of Emerson’s Advanced Reliability Expert System (ARES) product,” says Granger. 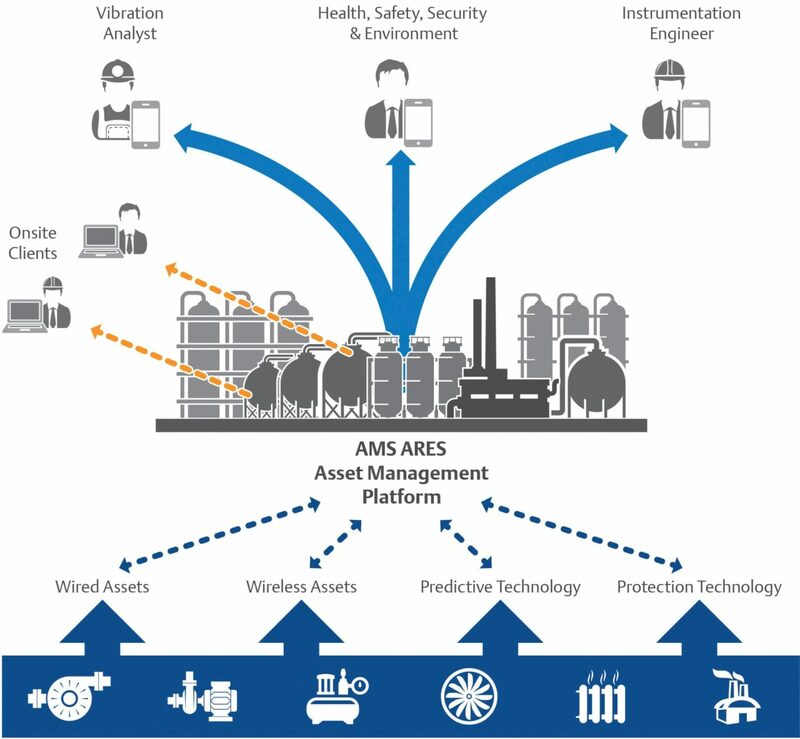 Emerson’s ARES Asset Management Platform (Figure 1) collects asset data from field-based wired and wireless sensors and delivers information on the most critical situations to the appropriate personnel, enabling users to make well-informed decisions regarding maintaining reliability and availability. The platform uses modern communication tools to deliver alerts to traditional desktop PCs and laptops, as well as tablets and smartphones. Remote accessibility to smart alerts in a secure environment means operators and maintenance personnel are on top of the performance of critical production assets at all times. Adding to the disorganized data dilemma is that many maintenance departments have homegrown systems, says Scott Ewine, Industry Solutions Executive for ABB’s (Atlanta, Ga.; www.abb.com) Enterprise Software product group. “It isn’t uncommon for us to go into a plant and see that they have tools that were written by someone in the plant over 20 years ago. The siloed department puts their data into their own spreadsheet but this doesn’t feed into the newer historian. There’s a lot of different spreadsheets for a lot of different functions but there’s no management of all this information,” Ewine explains. He says ABB offers its electronic Shift Operations Management System (eSOMS) tool as a way to consolidate all those data points into one electronic system that is available on a mobile device so that access to information is simplified. eSOMS aids in automating and integrating the major processes of plant operations management, facilitating data sharing and reducing the amount of data entry required. For this reason, Fluke test tools now have embedded Bluetooth radios, allowing users to instantly save measurements to SaaS platforms, via a smart device. Wireless sensors from Fluke allow technicians and engineers to leave measurement tools in place over a period of time to monitor, data log and live stream. Teams use these sensors for both condition monitoring, as well as troubleshooting complex system failures. The Fluke Connect SaaS platform (Figure 3) underlies both types of data-gathering practices, so that teams and managers have a comprehensive and meaningfully organized set of data. Similarly, for pumps, motors and rotating equipment, the i-Alert2 equipment health monitor, a product of ITT Industrial Process (Seneca Falls, N.Y.; www.itt.com), is a Bluetooth smart device that tracks vibration, temperature and run-time hours. It also has the ability to trend information as it stores data once per hour and on alarm for 60 days, and stores the weekly average, minimum and maximum for up to five years. The monitor also has the ability to diagnose machine faults with vibration and other analysis tools and can send alarms if equipment is outside normal operating conditions (Figure 4). Two of the other major challenges in the maintenance field include reduced budgets and loss of skilled technicians, which maintenance managers are overcoming via automated systems and intelligent instrumentation that help them monitor more equipment with fewer staff members and then decide how to prioritize the information and the necessary work orders. To compound matters, she says, if the process has to be stopped in order to do the maintenance, it will get deferred in all but the most critical of cases, such as definite safety issues. “The opportunities to get ahead of the game are limited by this push to get product out the door because no plant manager is going to shut down a process for maintenance unless he believes that it could lead to a bigger issue if it is not addressed immediately,” says Pattison. As a result, many maintenance departments are moving away from traditional schedule-based preventive maintenance practices and toward more targeted predictive maintenance activities. “Preventive maintenance, done on a fixed schedule, is extremely costly and often unnecessary,” says Schneider Electric’s Chandrasekharan. “It requires more manpower, more time and more money to go out in the field and perform tasks on equipment that may not need maintenance just because the schedule says it does. A recent survey showed that 67% of the preventive maintenance tasks performed on process instrumentation was wasted. Maintenance managers decide which pieces of equipment demand attention based upon data mined from intelligent monitoring instrumentation (see the sidebar below for more on intelligent monitoring devices). Smarter instrumentation is also often combined with software products designed to take the guesswork out of identifying critical machinery, as well as prioritizing tasks. For instance, Meridium’s APM Failure Elimination software helps users understand failure patterns and rates, predict when failures are likely to occur and plan maintenance to avoid these occurrences. This solution provides integrated and intuitive tools that offer a comprehensive approach to managing reliable production, determining the causes of failure and mitigating or preventing the causes of failure. Meridium also offers APM Analytics, which is based upon cognitive analytics. This capability features machine-learning algorithms that identify failure patterns that may be missed through traditional analytical routines. By taking complex processes and business challenges and applying these advanced algorithms, along with data mining and analysis, cognitive analytics can aggregate all of the data being collected and provide a full view of asset health and performance. According to Schneider Electric’s Chandrasekharan, there also needs to be a single method of prioritizing activities. “The difficulty with monitoring a variety of equipment using today’s technologies is that this often requires multiple maintenance applications and then, based upon those monitoring points, managers have to make a decision and then go through the very manual process of creating a work order,” he explains. 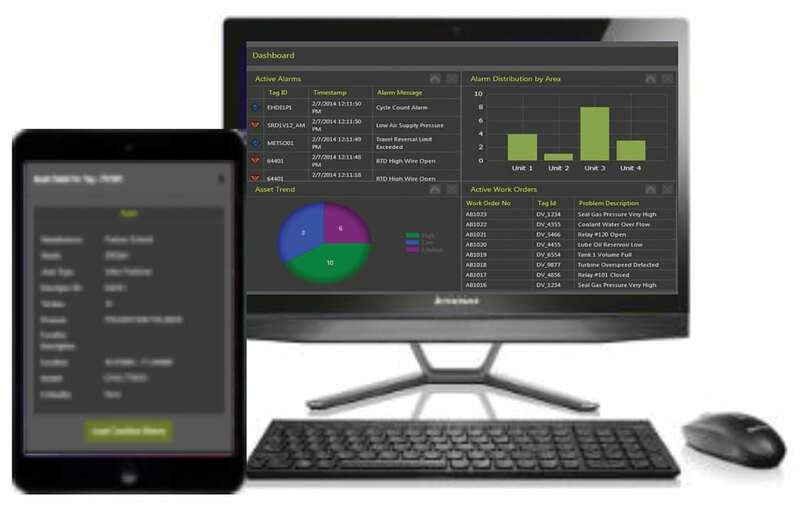 “Most other departments have a single application that takes care of their responsibilities in the plant, but the maintenance department has a bunch of disparate applications.” For this reason, Schenider Electric recently launched its Maintenance Response Center (Figure 2), which offers single-window access to up-to-date information on plant-wide asset conditions and automated condition monitoring and presents the information in a common and unified dashboard for all asset notifications. Diagnostic information and activities are captured for the operational life of the asset, so users can make smart decisions based upon historical performance of a device, and comprehensive reporting indicates work order history to help reduce wasted effort and improve shift handovers and status reporting, while alerts are presented in an easy-to-understand way with actionable information attached.